A rural development program has been in effect in Turkmenistan since 2007. The state media have given it a variety of names over the past 12 years: “the regional development program,” “the village reform program” and simply “the reform program.” It’s not in the public domain but is often referred to in the media and appears extremely significant from the volume of investment alone. In the first stage of implementation, in 2007-2014, the state invested more than 6.5 billion U.S. dollars, while in the second stage, 2015-2020, it invested even more – 7.5 billion. That’s more than 14 billion dollars in total. The aim of the program is to transform living conditions in all rural areas: to build hospitals, schools, kindergartens, housing and roads there and to supply water, gas, electricity and telecoms. The first impression as one walks through the village streets is that the place is dead. You rarely see anyone else out in the street. There are no sounds of children laughing or dogs barking or neighbors talking – it’s quiet and empty. But it’s just an illusion that there’s no one here; in fact everyone is indoors in winter. It’s cold out but you can at least keep warm with gas at home. The villagers don’t know yet what’s going to happen here now that charges have been introduced for gas and electricity. They don’t know where they’re going to find the money. There’s no work in the village or in the new district center Halach or the old one, Garabekevul. The lucky ones find temporary work in Turkmenabat, 100 km away, but without any education they can only find low-paid laboring jobs. The main source of income for the majority of the villagers is growing cotton and wheat and selling vegetables, herbs, eggs and milk from their own backyards. And of course relatives working in Turkey. Practically every family has someone. The villagers say they would scarcely survive without their help. People here have heard about the reform of the villages only on TV. The roads in Shaglar were last repaired in Soviet times. They’re impassable even on foot in late autumn, winter and early spring. The local people say the program for village reform, if it actually exists, has drowned in the puddles and drains after heavy rain. In the summer, by contrast, a passing car raises a cloud of dust. The only municipal services Shaglar enjoys are gas and electricity, which both have outages in supply in winter. The villagers take drinking water from the wells or pump it from boreholes, but it’s very salty. There’s no question of sewerage – all the conveniences are outside. The only kindergarten in the village has closed, either because of the dangerous state of the building or because the tenfold increase in costs put it out of people’s reach. The kindergarten building was soon given to young families in need of housing, one room per family. 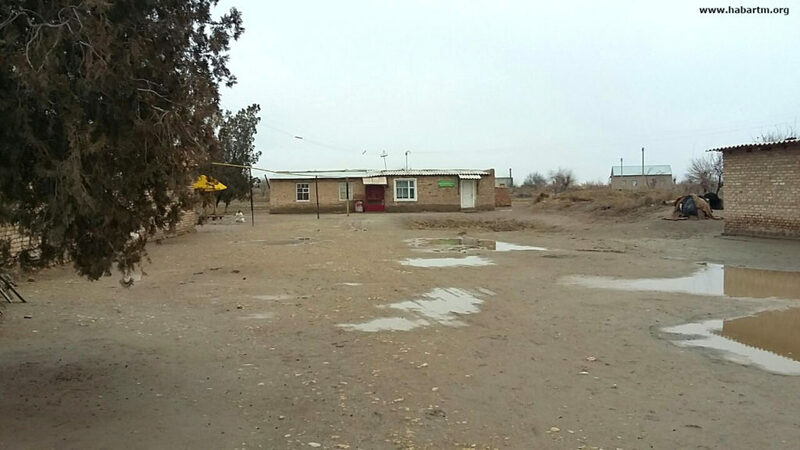 The village has one small school with a canteen in a separate block. Both buildings were built in Soviet times. Despite the lack of a source of steady income, families in Shaglar have many children. From an early age children are the main domestic helps. Parents use teenagers as workers. Girls look after the home and yard and help their mothers, while boys take the sheep and cattle to pasture, work in the vegetable garden, pick cotton in autumn. Who’s going to check if the children are in school? The village has a high mortality rate because of the lack of clean drinking water, poor nutrition and lack of good quality medical services. Though every yard has its chickens, turkeys and cows and in summer vegetable gardens, people can scarcely make ends meet. They die very young – 45-55, not surviving till pension age. New graves are added to the local cemetery almost every day. 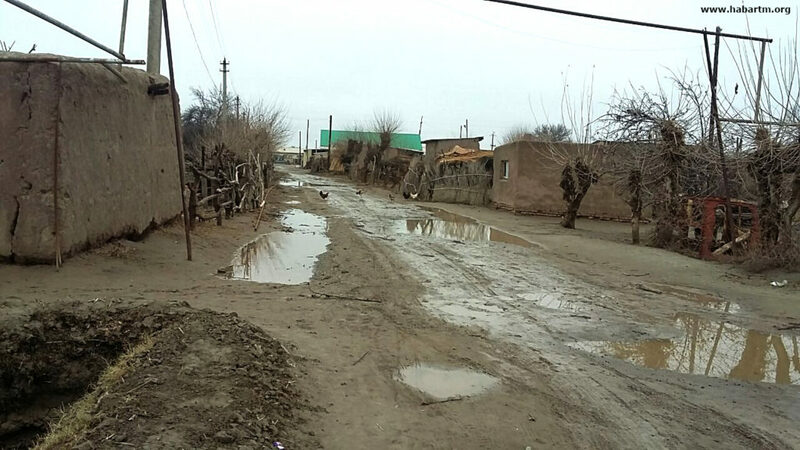 There are hundreds of villages like Shaglar in Garabekevul district and the country as a whole. But alongside villages like Shaglar there is a new village in Garabekevul district, which the president himself opened in a grand ceremony in July 2016. The village has a lofty name – Berkarar zaman, which translates as “the epoch of accomplishment.” All the necessary social facilities were provided in the village. The Turkmen public saw spacious homes, good roads and utilities on TV. However, the following day the Epoch of Accomplishment was apparently empty. 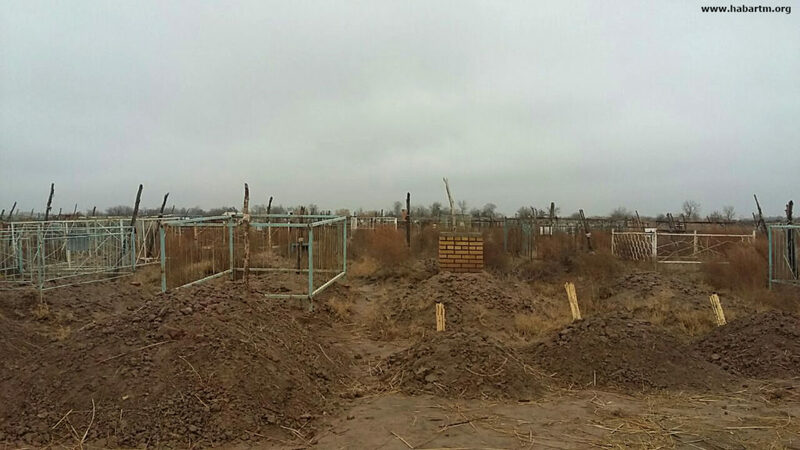 Radio Azatlyk reported that some of the houses were far from ready at the time of the grand opening and roads and electricity had been provided only in the places visited by president Gurbanguly Berdimuhamedov. 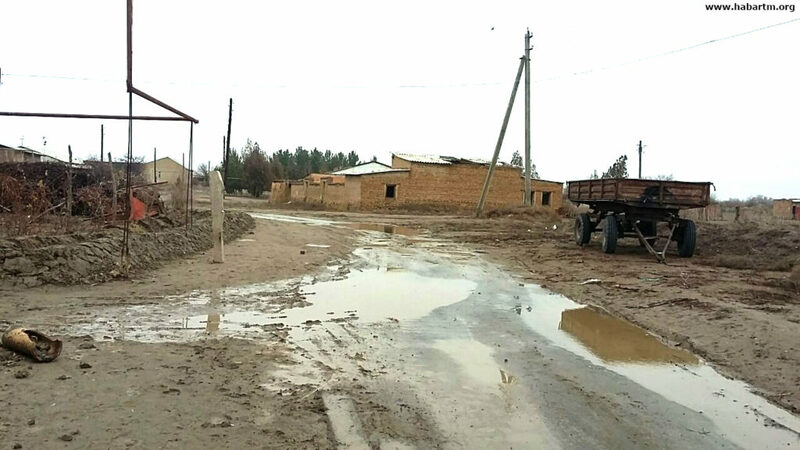 “New model Turkmen village,” “new living standards,” “innovations,” “reform programs,” “village regeneration” – the fine words and catchy phrases in the local media reveal the authorities’ total disconnection from reality, from the real conditions of daily life.